I'll Eat Those Beet Greens! I don't usually bother to eat beet greens. By the time the poor things have been yanked out of the ground, bundled together, stuffed in a box and then jammed into a display, not to mention manhandled by various shoppers looking for the perfect roots, the poor greens always seem to be so mangled and tired that they just don't inspire any culinary visions. But beets harvested fresh from your own garden and lovingly cleaned have greens that inspire more than just a trip to the worm bin. The greens that were attached to the beets that I used for the Warm Chioggia Beet and Apple Salad were too beautiful not to use. After washing and removing the stems I had a little over one pound of greens. 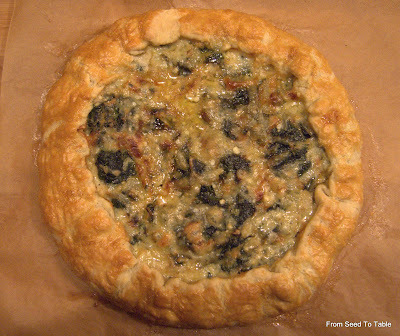 I decided to use them to make a savory galette, something sort of a cross between a quiche and a pizza. One thing I love about galettes, either savory or sweet, is that the crust that you worked so hard to make comes out crisp and flaky top and bottom. When making a galette it is important that the filling not be too moist since the tart has nothing to support the sides and excess moisture would just run all over the oven and too much moisture makes the bottom soggy. The Chioggia beet greens came out very soft and mild tasting, not at all "beety". Put the wet beet greens in a large saute pan over medium heat. 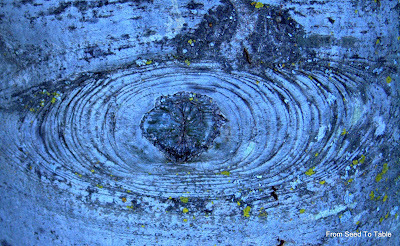 Cover and cook, tossing occasionally, until wilted. Transfer to a colander to drain and cool. Wipe out the pan and return to the heat. Add the olive oil to the pan and saute the onion and garlic until the onion is translucent. Turn the heat down to low and continue to cook, stirring occasionally, until the onion just starts to turn golden. While the onion is cooking, squeeze the beet greens by the fistful to remove excess moisture. Coarsely chop the greens. Once the onion has turned slightly golden, add the chopped greens and stir to mix for a couple minutes. Remove from the heat and allow to cool. There should be no moisture pooled in the pan. Mix together the creme fraiche, egg yolk, nutmeg, salt and pepper. When the onion and greens mixture has cooled, stir them into the creme fraiche mixture. Roll the pastry dough into a 14-inch circle. Put the sheet of dough on a piece of parchment paper or a greased unrimmed baking sheet. 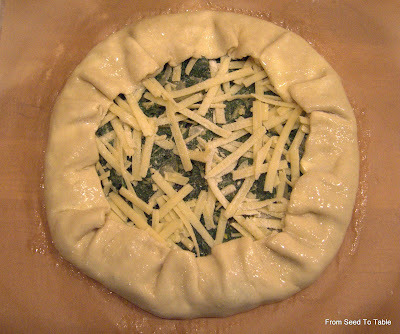 Spread the greens mixture in the center of the circle leaving about 2 inches of dough uncovered all around. 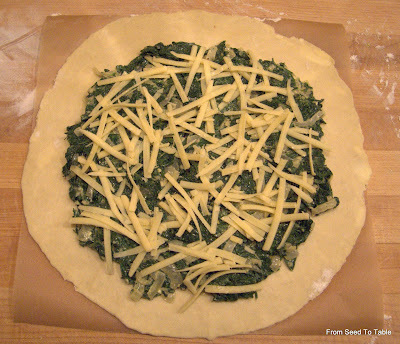 Sprinkle the cheese evenly over the greens. Pull the edges of the dough up over the filling letting the dough fall into casual pleats. Lightly beat the egg white and brush the top of the dough with it. Bake the galette in a 450F oven for about 30 minutes. I like to bake it on the parchment paper set on a pizza stone on the floor of the oven, and then for another 10 minutes higher in the oven to brown the top. That's what works in my weird oven, but it should bake just fine on a baking sheet or pizza stone set in the middle of a less idiosyncratic oven. The Andine Cornue tomatoes that I grew this year taught me this valuable lesson: It is not fair to judge the performance of a tomato variety, or really any vegetable, by growing only one plant. 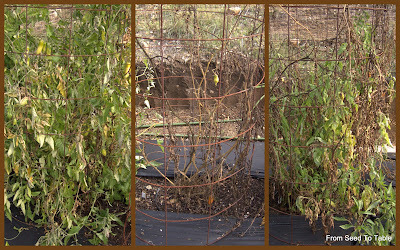 The collage above shows three different Andine Cornue tomato plants on the same day at the same time (the day after the big frost), all grown from the same seed packet, planted side by side by side, same soil, same ammendments, same same same. If I had only grown the plant in the center I would have thought what a dud, never again because it started to decline early on and never did produce a decent tomato. 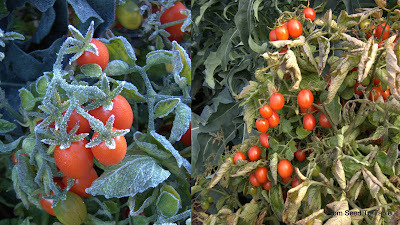 The plant on the right grew pretty much as expected, with tomatoes that conformed to the description and to my experience with this variety in previous years. 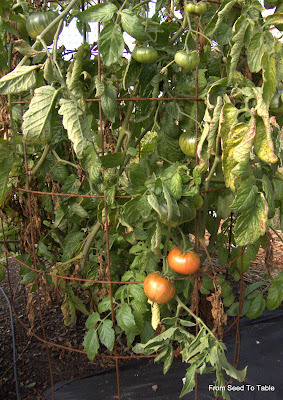 The plant on the left is extra vigorous, but the tomatoes are pink instead of red. So, if I had grown only one of the seedlings that I started I had a good chance of not getting what I expected. That is, in fact, exactly what happened with one of my all time favorite varieties this year, the Aunt Ruby's German Green turned out to be a pink beefsteak. 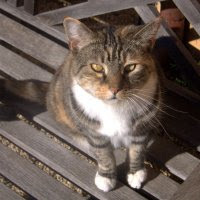 I don't have the room to grow multiple plants of each variety that I want to grow, so perhaps I will have to give plants that don't perform as expected another try in a following year. 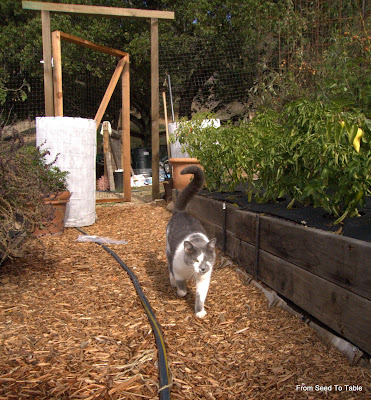 Another factor in how well a plant has performed for me is seed source. Paul Robeson in another one of my all time favorite tomatoes. 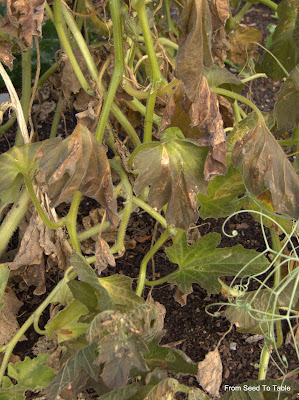 I always thought that it was disease prone because my plants always succumbed to something when all my other tomatoes were still working hard. I always tolerated that because the tomatoes were so delicious. 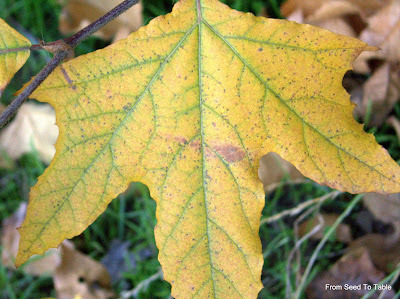 When I purchased new seeds from a different source my disease problems disappeared. The Paul Robesons that I've grown with the new seeds are some of the best performers and are just a delicious as ever. My husband and I escaped town on the 26th and headed down the coast with some friends to visit Hearst's Castle. We had booked the night tour and missed it because of a slow waiter, but the friendly state park ranger on duty took pity on us and switched our tickets for a tour the next morning. 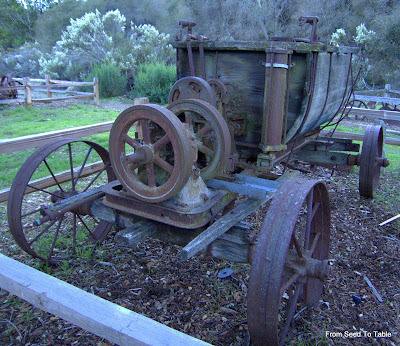 The tour was interesting and we had a lovely time driving up the coast through Big Sur, including a stop to see the elephant seals covering the beach at Piedras Blancas. 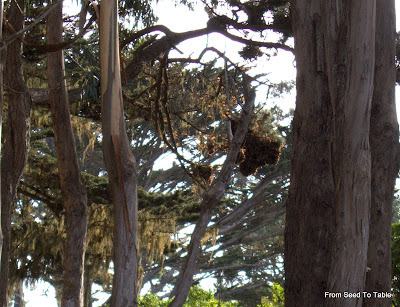 But the highlight of the day for me came at the very last stop when we visited the Pacific Grove Monarch Sanctuary. The volunteer manning the telescopes in the grove told us they estimated that 19,000 Monarchs were spending the winter in the grove. These butterflies may have flown as far as 2,000 miles to reach the winter sanctuary. 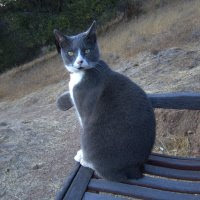 Most amazing to me is that they have never been to the sanctuary before, they hatched and became full grown (but not sexually mature) somewhere in the Pacific Northwest. In February, longer and warmer days will trigger the butterflies to become fully mature and they will start the northward migration, mating and laying eggs along the way. It will take 4 or 5 generations to reach their full northern range because the northward migrating butterflies have a much shorter lifespan than the southward migrating generation. 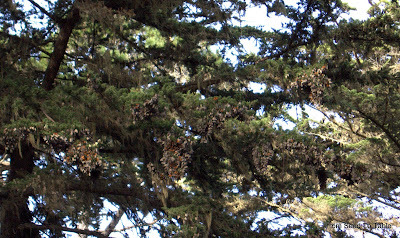 My camera is not good enough to get a good shot of the monarchs hanging in the trees but I've posted a couple to give an idea of what the clusters look like. 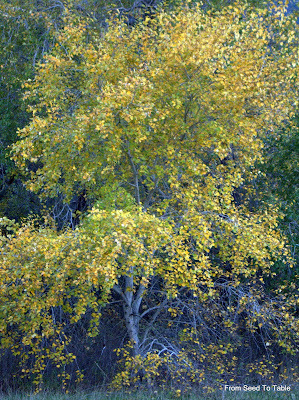 They hang in masses in the trees to conserve warmth. 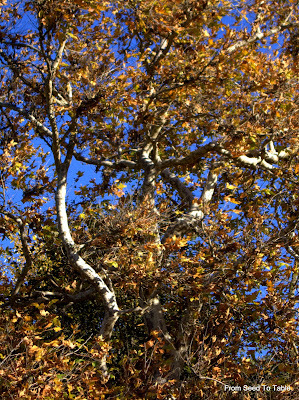 In the photo above you can see a mass of butterflies to the right of center between the large tree trunk on the right and and the short thin trunk just to the left. 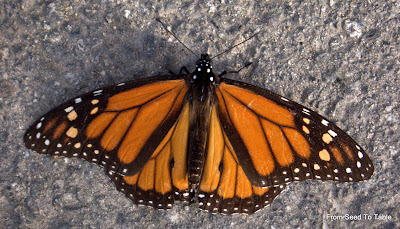 Barely discernible flecks of orange are monarchs that are basking in the sun. When the temperature gets above 55F they are able to fly about in search of food. 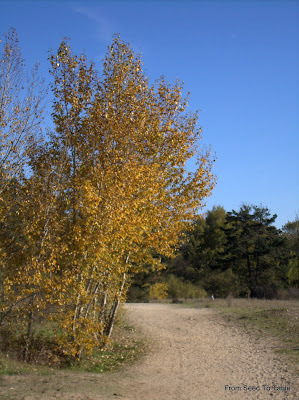 When I was there, it was cold in the shade but warm enough in sunny patches for the butterflies to be active. The photo below shows what looks to be dead leaves, but that's a pine tree, and we all know that pine trees have needles, not leaves. All those leafy looking things are monarchs. So, now I need to get away from the computer and get outside while the sun is shining (yeah!) and get some cleanup done in the garden. The Meyer lemons are coming into their prime now. 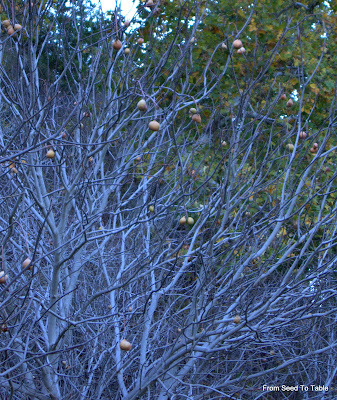 Fortunately, the frost that we had last week didn't do any harm to the tree or the fruit. 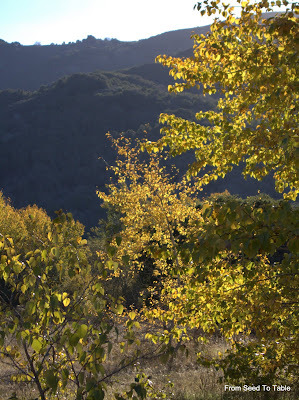 A friend who lives 1/2 mile away and about 600 feet lower, nearly on the valley floor, was not so lucky. She said her lemon tree was frozen pretty badly. There was a freeze 2 years ago that did damage my lemon tree, just before we bought the house. It took a year, but the tree recovered completely and I had a nice crop of lemons last winter. 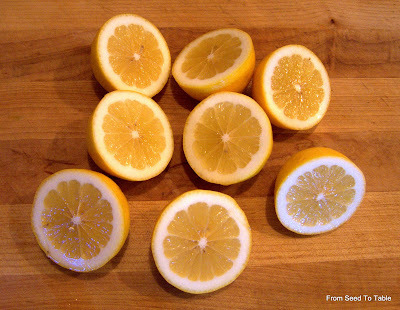 The Meyer variety seems to ripen lemons year round, but the primary crop is in the winter. So, I've been taking advantage of the bounty and making some holiday goodies featuring the lemons. Here's one particularly easy and tasty treat. 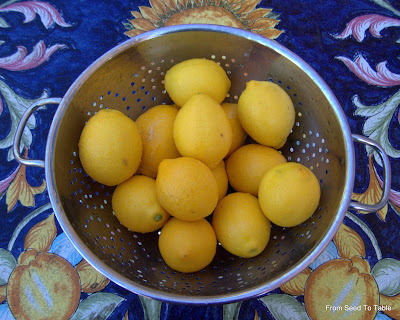 One thing to keep in mind, if you substitute regular lemon juice for Meyer lemon juice you may want to increase the amount of sugar since the Meyers are not as sour and this recipe is already fairly tangy. I made a holiday bread with , of course, lemon zest in it. It also has plenty of butter, eggs, sugar, and raisins too. The curd is delicious on it. More Meyer lemon recipes to come, couldn't waste those lovely peels. No time to post them right now though. 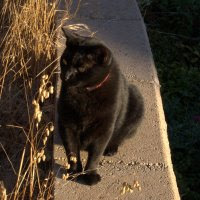 Be forwarned, this post is full of photographs that are not all that interesting, well there are a few nice ones, it's mostly documentation for my own information about how the garden was affected by the heavy frost the other night. For the most part the garden came through surprisingly ok. The Purrfessor has arrived to help with the inspection. First the ugly, but not unexpected. The basil is truly done. So is the Painted Serpent Cucumber. I do have a couple of cucumbers left in the fridge that I picked recently. 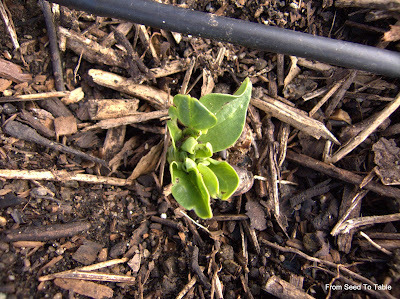 The snow pea pods are zinged, but the plants are ok. 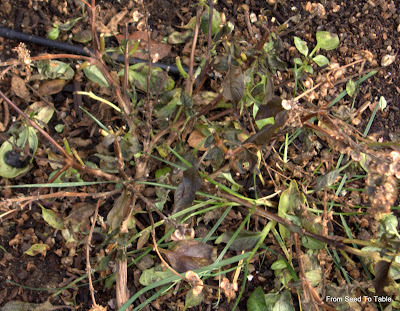 Unless the plants are done in by something fungal, they usually survive to produce a spring crop. 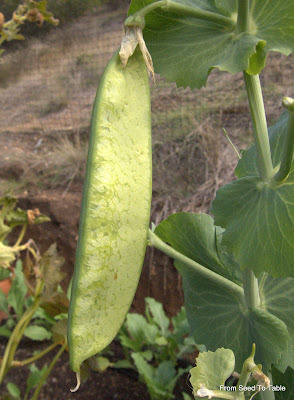 The few favas that survived the invasion of the maggots came through ok.
One big surprise, how well the tomatoes fared. The newest growth, especially at the top of the plants, got zinged. But the plants and fruit are still basically sound. That's the mystery tomato, I wonder if I can get some viable seed to play with. Eggplant with crispy leaf edges in the foreground, tomatoes behind. I have had eggplant overwinter, so in spite of the eggplant not producing a single fruit since I can't remember when, I haven't pulled them yet. If they survive, it gives me a headstart on the eggplant season. None of these plants were covered during the frost. 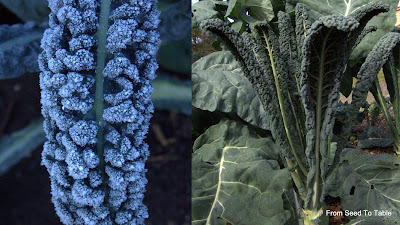 The Cavolo Nero is going to be extra tasty now. 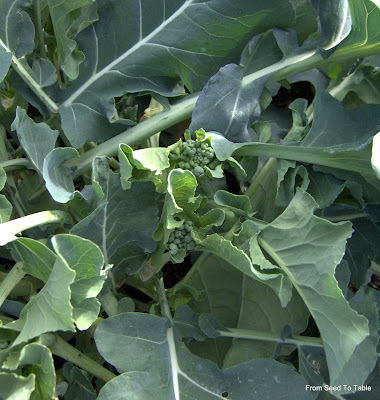 The Piracicaba broccoli is still forming side shoots. 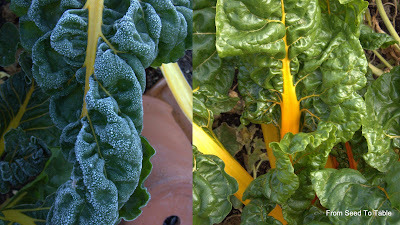 The Golden Chard was unfazed as well. 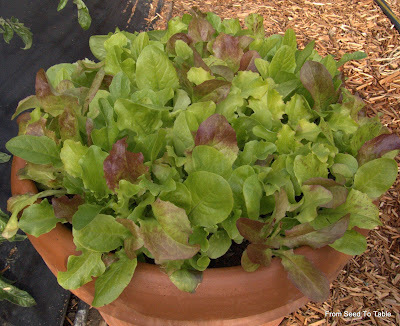 Lettuce, also left uncovered, ready to pick. 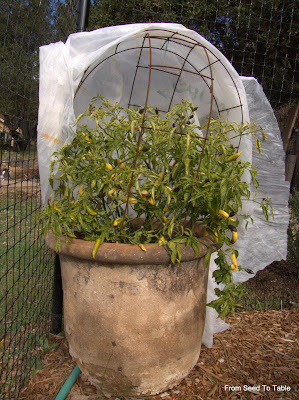 Aji Pineapple I covered most of my potted chile plants as you see above. It's pieces of 6-inch square concrete reinforcing mesh bent over the plants and then covered with cloth. This was how I isolated the plants for seed saving purposes and I left the supports in place so I could cover the plants to protect them from frost. I was lazy though and didn't have pieces of frost cloth ready so I made do with the light weight row cloth that I used for seed saving. The Aji Pineapple did fine, other chiles did not do so well. Aji Dulce #1 and #2, looking bad. 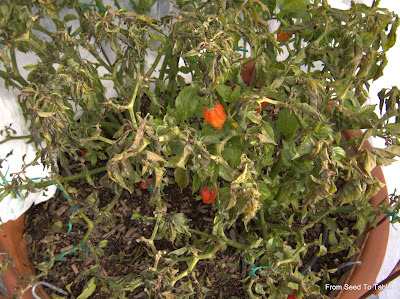 Most of the chinense chiles did not fare well. 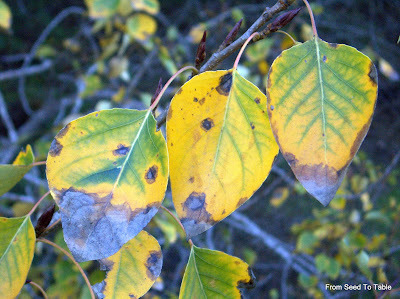 The St. Lucia Red and St. Lucia Yellow are both in bad shape, but then, they were in bad shape before the frost. 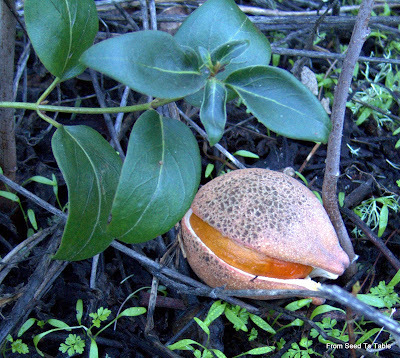 The Belize Sweet also looks really bad. Aji Dulce #3 did poorly but is not entirely down. The same for the Tobago Seasoning and Grenada Seasoning. 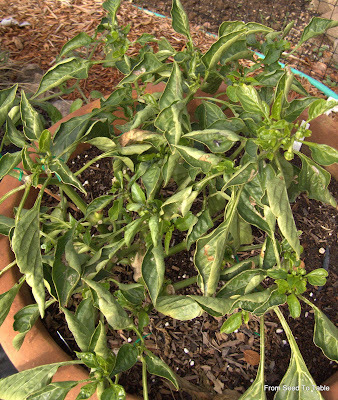 Another chile that didn't like the cold was Elsita, an annuum, but that plant never did do well. 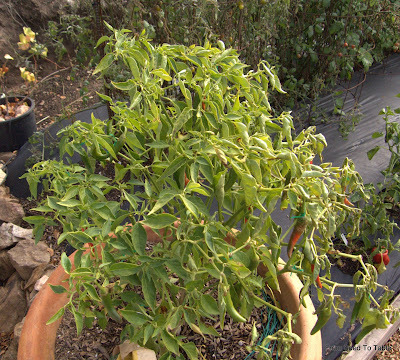 The Venezuela Sweet and Datil Sweet chiles, both chinense chiles looked like the photo above, new growth damaged but the rest of the plant seemingly ok. 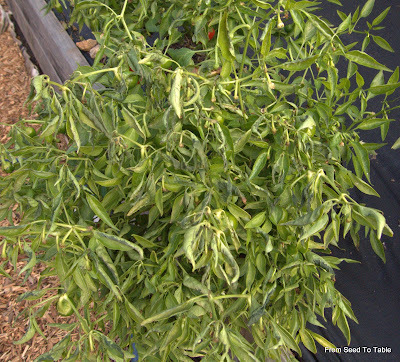 The Thai Chile was complete unscathed by the frost. Now, this was the only chile plant that survived last winter - that's right - that plant is nearly 2 years old and the entire time it has been in my garden it has been outside. 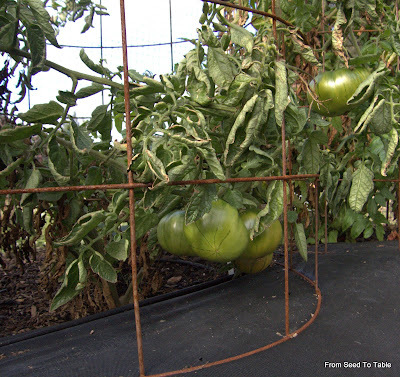 It did spend the frosty night inside the frost cloth covered cage you see behind it, but other plants that were sheltered fared worse. Last year I never covered it. The Aleppo pepper came through quite well, some of the foliage that was touching the frost cloth got zapped. 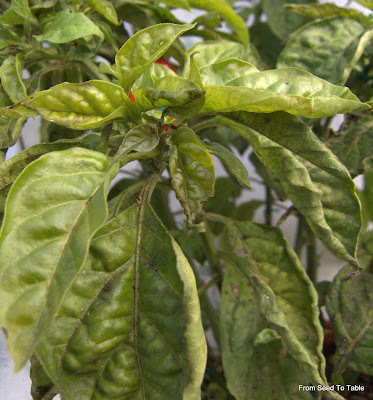 This was also the case for Aji Argentina, which is still covered with ripe (seemingly undamaged) chiles that I haven't gotten around to harvesting. I didn't bother to cover this plant and it came through just fine. 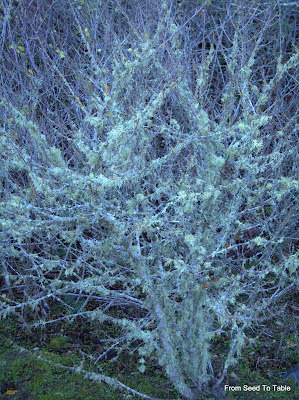 It was already looking a bit tired to begin with, but it basically looks no different now than before the frost. I didn't cover any of the chiles that are planted in the ground. Most of them fared quite well, with damage to newest growth only. 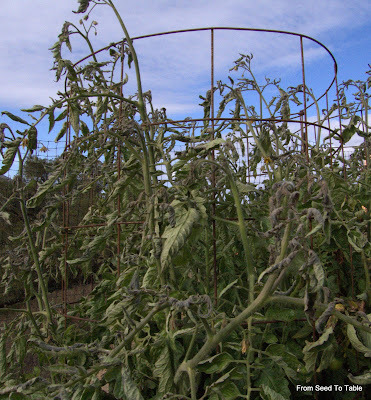 The Ciliegia di Calabria had the most damage of the chile plants in the ground, you can see it above if you look closely, but the plants don't look all that bad. A couple of the Pimento de Padrons also had some damage. The Czech Blacks didn't seem damaged at all. 1. 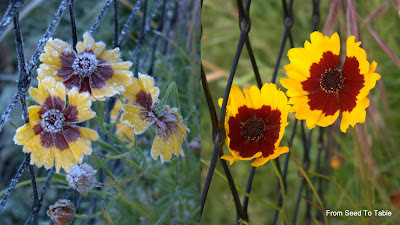 The chile plants that were never covered for seed saving purposes seemed to get through the frost with the least damage. None of the in-ground plants was ever covered, either for seed saving or frost protection and they had the least damage. 2. 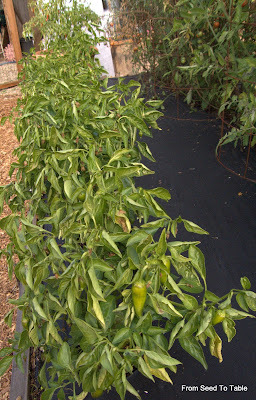 The chinense chiles that fared best were the ones that were the first to be covered this summer and consequently, the first to be uncovered. 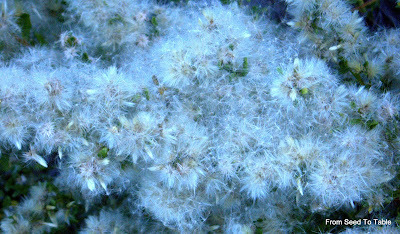 They had more time in full sun later in the season meaning that the later growth on the plants was tougher . 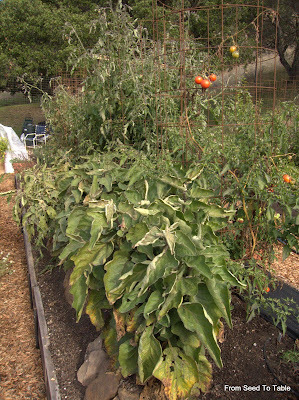 Shaded plants grow thinner, more tender foliage which is why I think that the chinense chiles that got covered later in the summer tended not to take the frost as well. 3. 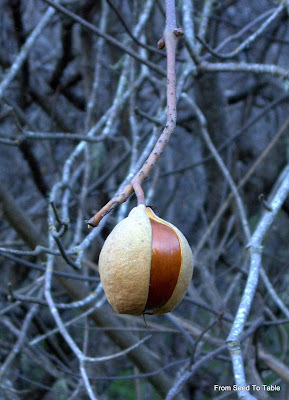 The plants that were covered earliest also had the most pods for seed saving. Conclusion: I need to get my plants covered for seed saving purposes as soon as the flowers start to open and keep them covered for the shortest time possible. This should also help with the aphid problem since the coverings create an environment in which the little buggers thrive. The wild flowers did just fine. 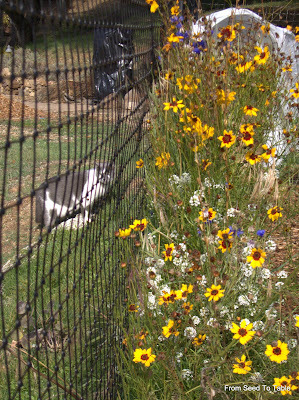 Note how they only grow on one side of the fence. 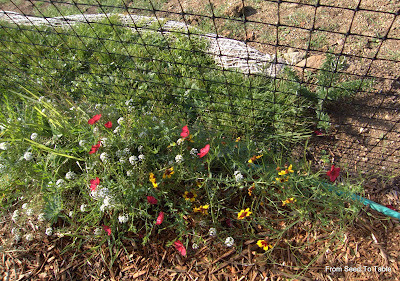 It was the other side of the fence that got seeded! 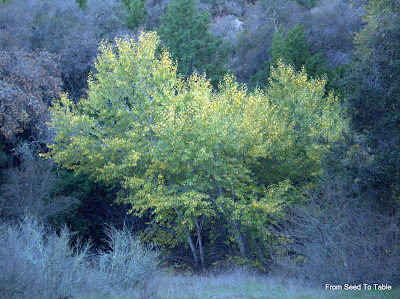 The deer have kept the outside area cropped while the few plants that grew on the inside have thrived. 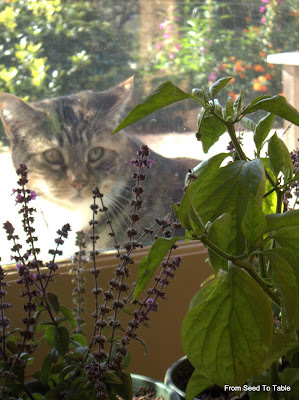 Miss Stella wants in and housebound plants want out. I don't generally coddle plants by bringing them inside for the winter. 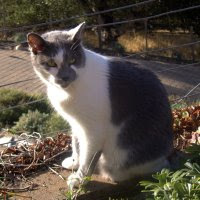 The one exception I regularly make is for African Blue Basil. I usually try to propagate a few plants to grow the next year and they won't survive staying outside the whole winter. I try to put them outside when its sunny, if I remember, but they do ok by a sunny window. 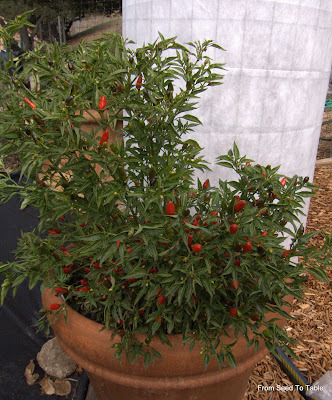 I also had one chile plant that never got moved out of its one-gallon pot that, what the heck, in you go! here's the best I could do. 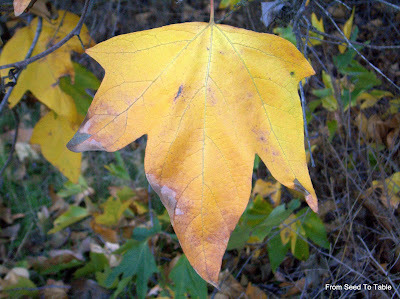 What we get of fall color has finally arrived. 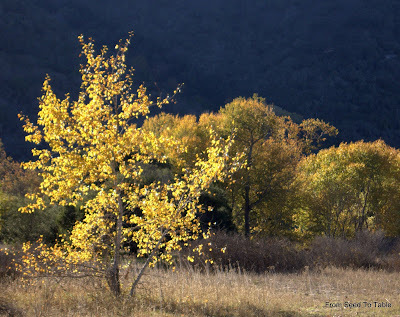 I took a walk in Garland Ranch Regional Park the other day to enjoy the color while I could. 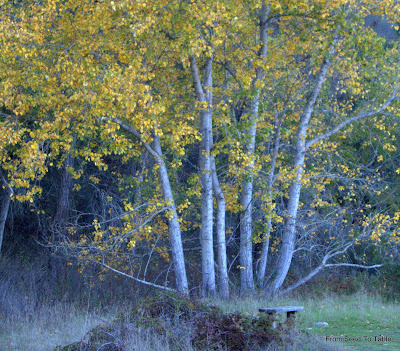 It was mid afternoon and the sun was hitting the trees at an angle which really lit them up beautifully. 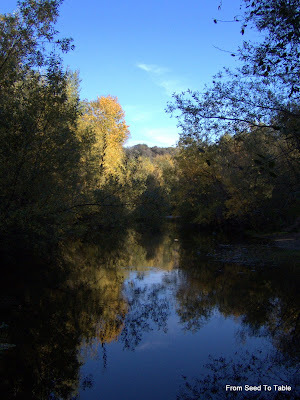 The Carmel River from the footbridge. 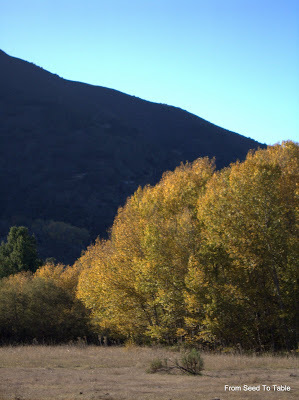 The path along the valley floor. Wow, An Even Prettier Rainbow! First Seed Catalog of the Season!